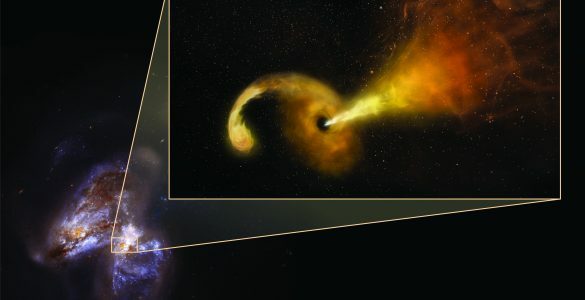 Artist’s conception of Tidal Disruption Event (TDE) in Arp 299. 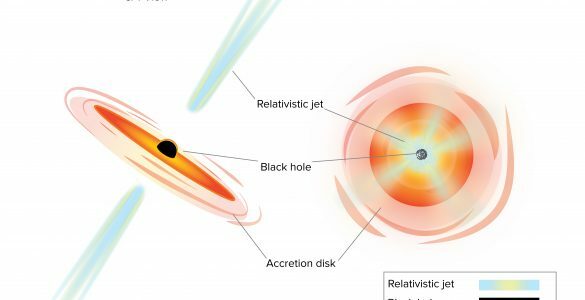 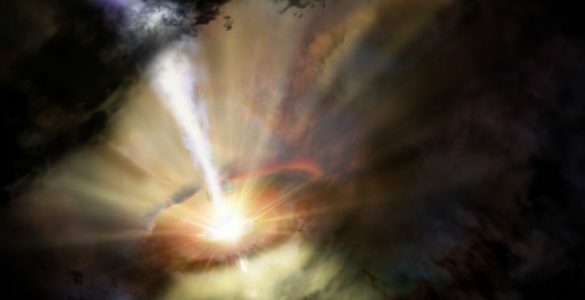 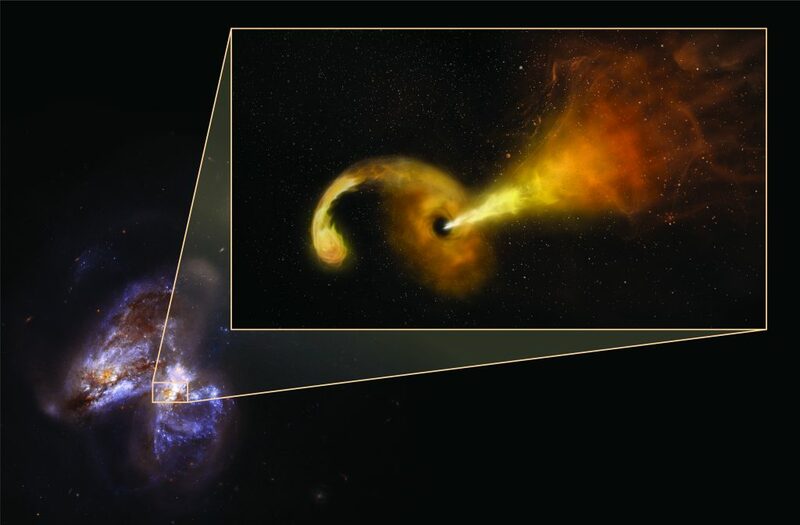 Powerful gravity of supermassive black hole shreds passing star, pulling material into disk rotating around the black hole, and launching jet of particles outward. 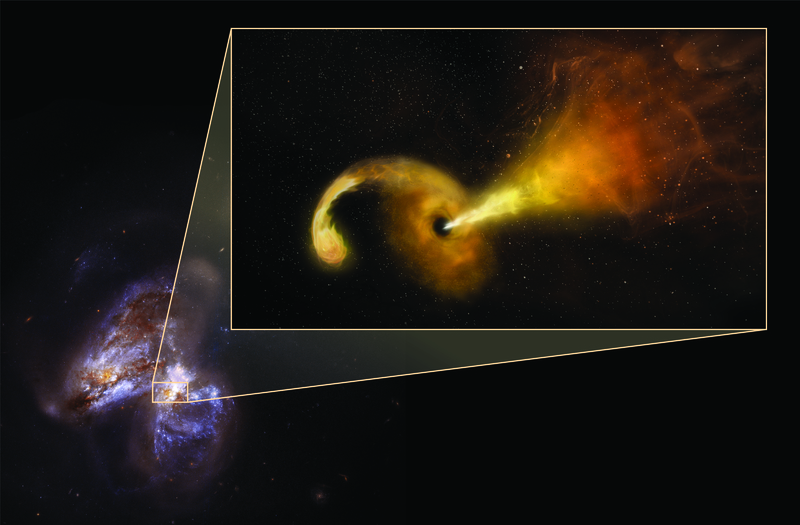 Artist’s conception in pullout — background is Hubble Space Telescope image of Arp 299, a pair of colliding galaxies. 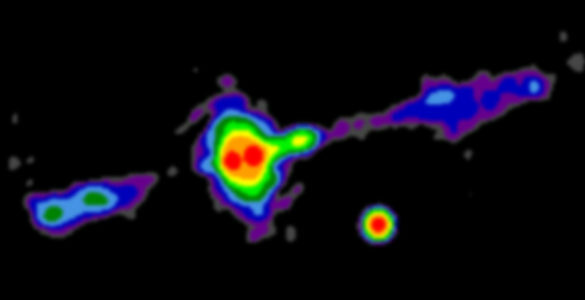 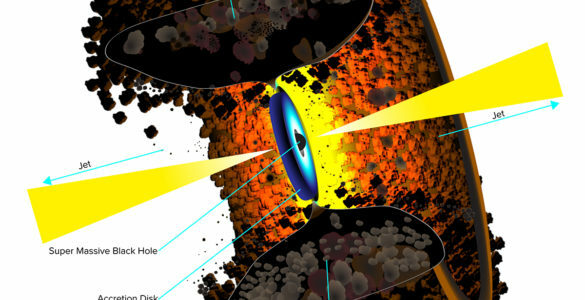 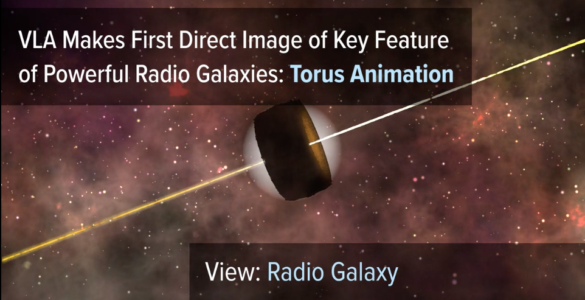 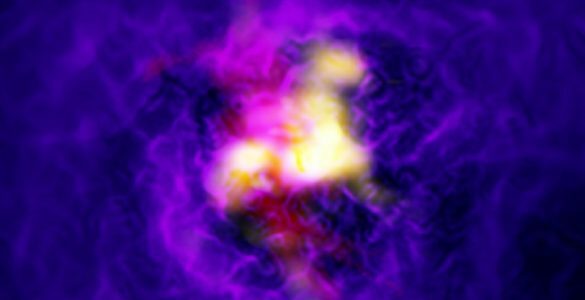 Years-long observation program surprises astronomers with evidence of a star's violent death near the core of a distant galaxy.